A teaser in yesterday’s press suggested that Econet would be rolling out a new product in the coming few days. It turns there’s nothing actually new. 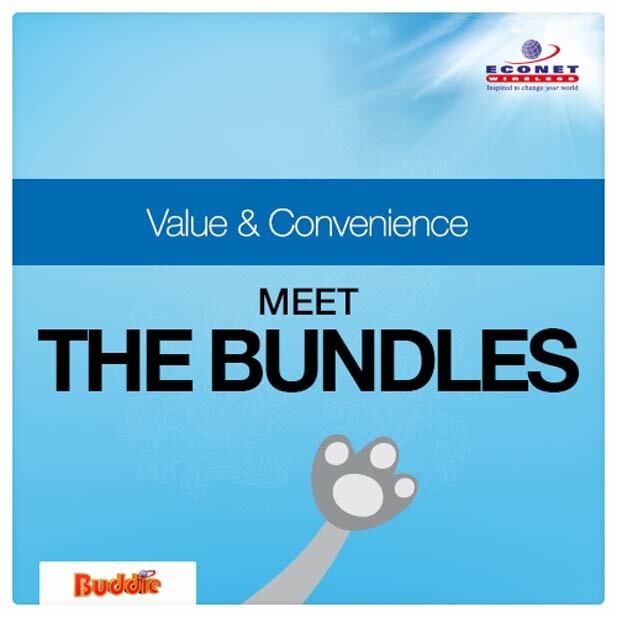 Econet’s simply reverted to the old Bundle of Joy package. The “new” bundles increase the number of minutes from the previous $1 for 8.5 to the old $1 for 10 minutes on Econet to Econet calls. That’s not all, Econet’s also introduced a $1.10 for 10 minutes and 50 SMSs bundle which is basically designed to resurrect the dying SMS appetite with the extra 10 cents. It’s easy to guess why Econet has decided to be slightly more generous. In a lot of ways this is actually a good thing even though this new promo is still less than the Telecel $1 for 10 minutes across all networks and the TelOne $1 a day. I am strongly opined to think Econet is in a drive to ring fence customers after a visible low customer satisfaction this first half of the year, which was caused by a series of backfiring adjustments that include the doubling of Social Media bundles and airtime refunds resulting from challenges on their billing system. It seems last year’s results which saw a 41% dip in profits have put Econet in a panicky mode that has resulted in experimental tweaks to maximise revenue. Besides the revenue issue, Econet still cares about holding on to its subscribers, something that it has failed to do with a loss of subscribers. Coincidentally, the second largest network locally, NetOne, added an extra 18% new subscriptions to bring its market share to 29%. We had hoped, from the adverts yesterday, that the new promo was a concocted Voice for Data package that would have seen such offers as “a monthly subscription of $20 giving you fixed calls and free WhatsApp and Facebook”. Call me a dreamer, but why can’t we get those sort of deals? There has been significant resistance from Econet subscribers who have had to resign to the basic packages like the WhatsApp Lite, or sought alternatives in the form of TelOne and ZOL WiFi which are capitalising on the Econet blunder. Econet initially offered the Dream bundles which had significant flaws in that they have a short validity period and they are only useful at night, when you are supposed to be “dreaming”. A follow up, the Daily Data Bundles, though more generous, still have the same daily dosage effect. Who knows, maybe the generosity will continue and we’ll get the sort of bundles we want? * TelOne $1 a day. Econet has been arrogant for such a long time, its time to pay the price!! we have moved over to netone and we are very happy there. THanks but no to all these silly promos!! You have moved over, econet has the highest number of subscribers and coverage. I noted that most of the articles of Techzim regarding Econet are in the negative. Is it that Econet is so bad that we cant get some positive news. Give us news which covers all the networks not only 1. I stand to be corrected. I say, thats a biased realisation… Haven’t you seen articles on Dandemutande? Telecel? TelOne??? Econet is expensive bully and does not care about its customers. It is cunningly misleading in terminology such as “unlimited ” yet it has light wuhich in its nature is a limited buddle. Netone and Telcell pull up your socks and save us from econet. Yes econet has good network but an unfreindly environment.